Next Tuesday is the December Food Night. Come to Chick-fil-A with your family! Mark your calendars to attend the next Hauser PTO Food Night. It will be held on Tuesday, December 11th from 5-8pm at Chick-fil-A in North Riverside. We are having a Spirit Night! The Cougar Connection that brings in the most supporters will win a prize – a tray of Chocolate Chuck Cookies for the Cougar Connection and two free meals for the winning teacher ! 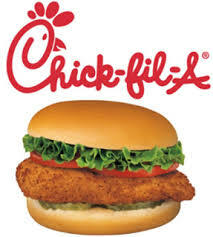 Be sure and let the Chick-fil-A staff know that you are from Hauser and give them your Cougar Connect teacher’s name. Dine in and say hello to Mr. Columbo, Mr. Meyer, Mrs. Popovic ans Mrs. Schuldt along with other PTO members who will be helping with the greeting and the serving! Invite your family and friends to join you as you support our school.